Zenkaikon 09: Look out! There’s a cute girl hiding in everything! Emily Compton and Katsunori Matsushita headed Zenkaikon’s "Moé Anthropomorphism-tan" panel, which sought to explain the exploitation of moé figures created either as marketing or metaphor for use in ads, anime, and other amusements in Japan. Moé characters, for the purpose of the subjects of this panel, are sweet/cute figures defined by a set of characteristics that evokes an inclination to protect/defend them. Anthropomorphism is defined via Wikipedia as “the attribution of human characteristics to non-human creatures and beings, phenomena, material states and objects or abstract concepts.” Japan, which has a long-standing tradition of attributing spiritual sense to everyday objects (what they call gods, but we would see more as “spirit” or “essence”), uses a combination of pop culture and inherited spirituality to create moé mascots with attributes representing the objects they represent. Examples range from educational comics, manga, Web animations, and anime to fetishistic advertising. An example of the former would be Afuganis-tan, a series which uses moé characters as personifications of Central Asian nations to educate children about history and current events. While this format has made the history “accessible” to youth (and entertaining to adults), it often elicits a critique of trivialization. Its characters are very stereotypical, defined by broad generalizations in appearance as well as their actions, but all the nations are treated equally, avoiding any sense of favoritism. Mechamusume is another branch of moé anthropomorphism, wherein cute girls represent vehicles/hardware. 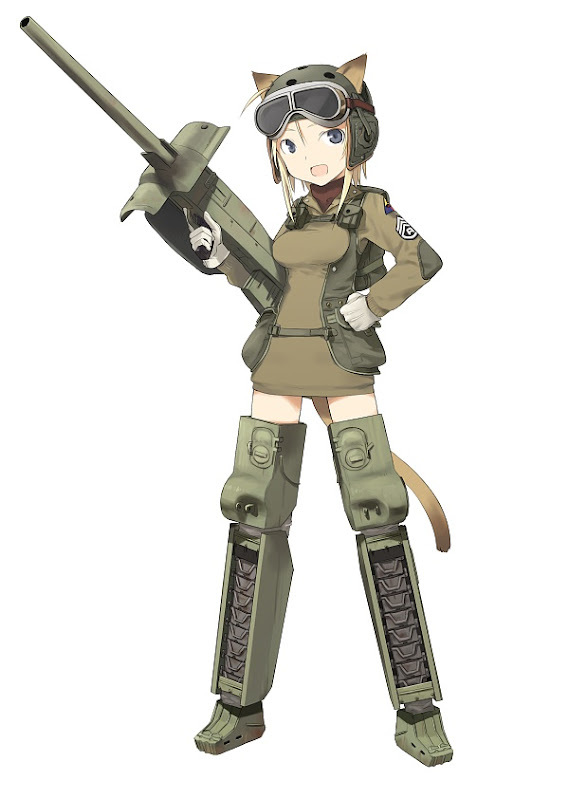 And aside from military ads/brochures for real-world jets, tanks, and guns, examples of mechamusume’s employment can be found in anime series such as Sky Girls and Strike Witches. This form of moé anthropomorphism isn’t confined to military machinations, however. Commercial planes, trains, and even satellites are represented by cute girls integrated with either aspects of the actual design or wearing uniforms/colors of the company. 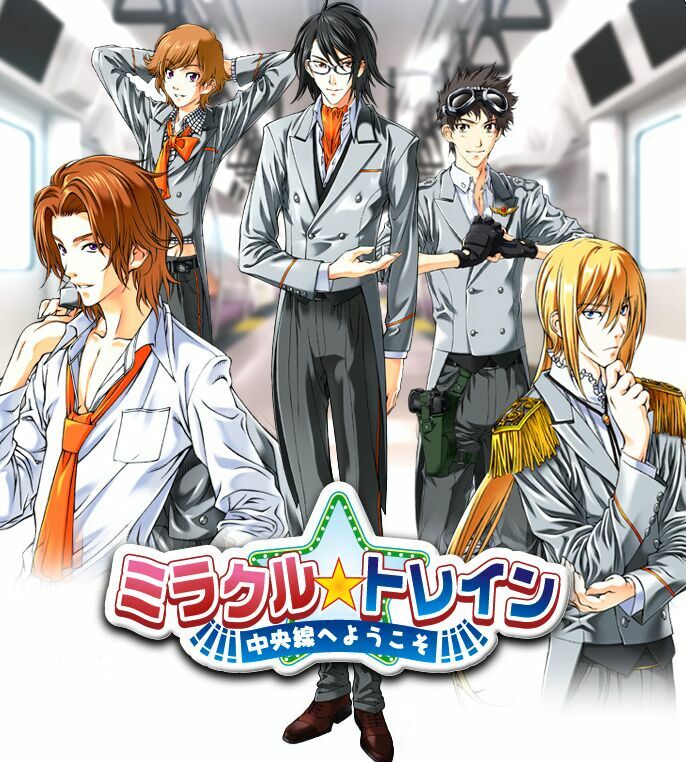 An anime that touches on this is Miracle Train, which employs beautiful men riding an underground subway line as allegories for stops along said train line; each character’s characteristics are defined by the nature of the stops (business, entertainment, night life, etc.). With an admitted soft spot for the wide-eyed girls that so often populate anime in general, I found it generally amusing to see the wealth of moé in advertising for everything from education to social commentary. It comes down to the art of representing one thing through another: a visual metaphor. Varying degrees of good and bad were clearly evident even through the various examples of a poorly lit slideshow (bad projector), but, come what may, moé anthropomorphism remains a distinctive Japanese presence and (much to the dismay of many) culturally and artistically relevant. Ani-Gamers blogger Ink checked out a whole bunch of the panels and events at Zenkaikon 2009. For more coverage, keep your eyes on our Zenkaikon 09 label!